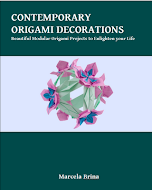 I'm very happy to announce the release of my self-published, first book, "Contemporary Origami Decorations". The book is currently available through CreateSpace. In a few days, it will also be available through Amazon.com. Save 10% with CreateSpace discount code: GLT8DDGS. Valid till March 31st, 2011. 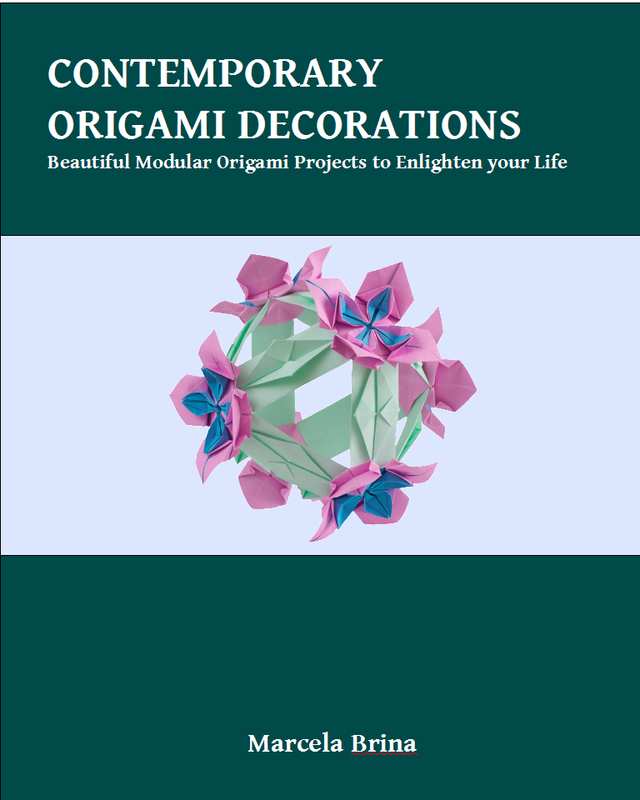 Contemporary Origami Decorations contains easy-to-follow, step-by-step instructions to fold innovative origami flowers and modular decorations. The book is filled with full-color diagrams and pictures of each model. Flowers: This chapter contains the instruction to fold flowers that can be used as ornaments, or to construct the modular decorations explained in the last chapter. Connectors: This chapter contains the instruction to fold the connectors used to join the different flowers. Modular Decorations: This chapter contains the instructions to construct modular decorations by joining the flowers with the connectors. 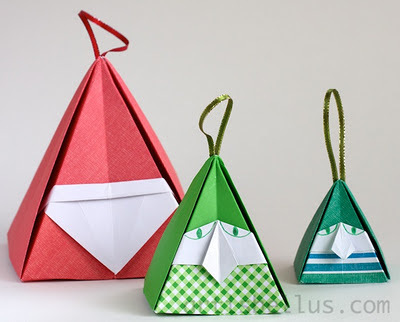 It also has a "Mix and Match" section that will help you create your own decorations. I'm really excited about this book, and I hope you like it too. Good luck with the book, it seems really lovely. Beautiful work. I'm looking forward to leafing through this book. Cheers to you! Parabéns! Muito sucesso para você! Thank you very much! Muito obrigada! Parabéns!!! Desejo muito sucesso e muitos livros vendidos! !